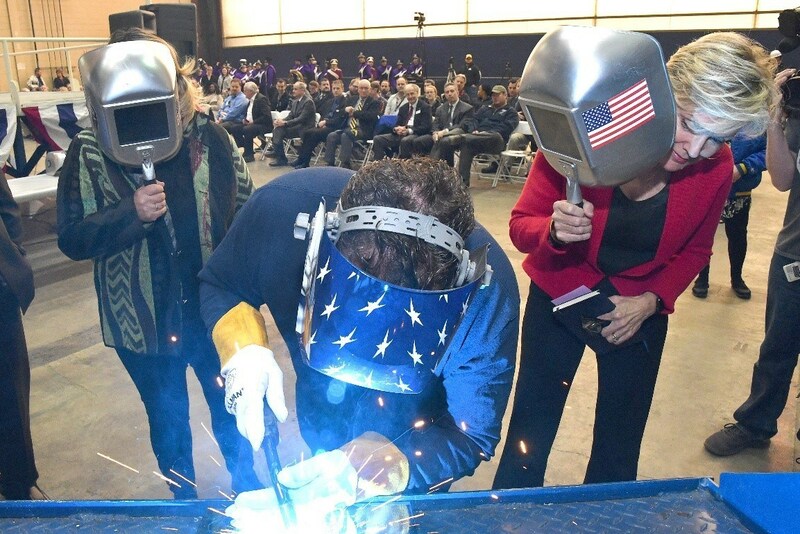 The Lockheed Martin-led industry team officially laid the keel for the U.S. Navy’s 17th Littoral Combat Ship (LCS), the future USS Indianapolis, in a ceremony held at Fincantieri Marinette Marine in Marinette, Wisconsin. Ship sponsor Mrs. Jill Donnelly, the wife of U.S. 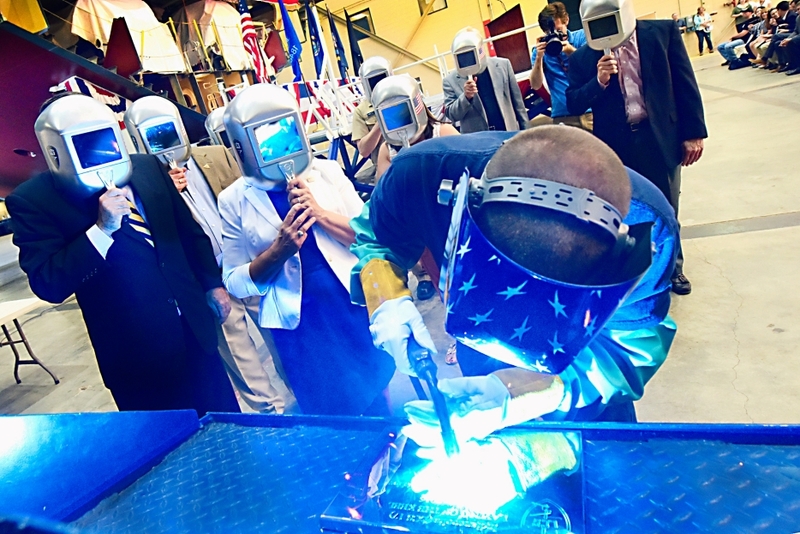 Senator Joe Donnelly, completed the time-honored tradition and authenticated the keel by welding her initials onto a steel plate that will be placed in the hull of the ship. «It is a tremendous honor to serve as the sponsor of the future USS Indianapolis», Donnelly said. «The keel-laying ceremony is a great milestone, and I look forward to supporting the ship and its crew throughout the building process. I know the people of Indianapolis and all Hoosiers will proudly support her when she is commissioned and enters the Navy fleet». 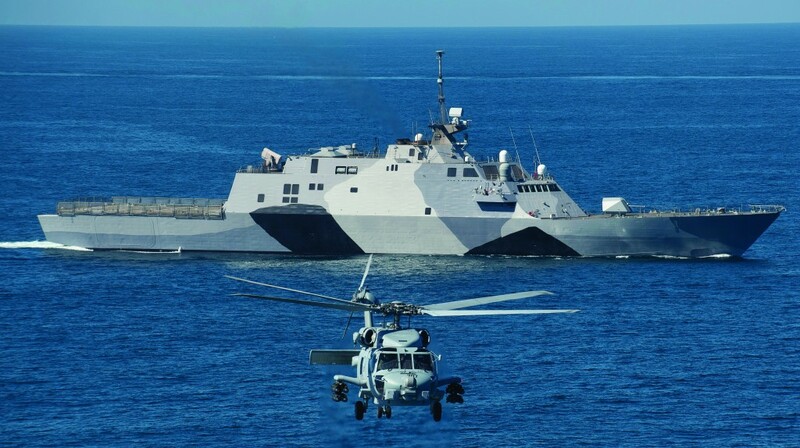 The LCS’s modular design and affordable price achieves increased capacity and capability so the U.S. Navy can provide presence where and when needed, with a level of force that will deter and defeat threats. «We are proud to build another proven warship that allows our Navy to carry out their missions around the world», said Joe North, vice president and general manager of Littoral Ships and Systems. «We look forward to working with the U.S. Navy to continue building and delivering highly capable and adaptable Freedom-variant Littoral Combat Ships to the fleet». 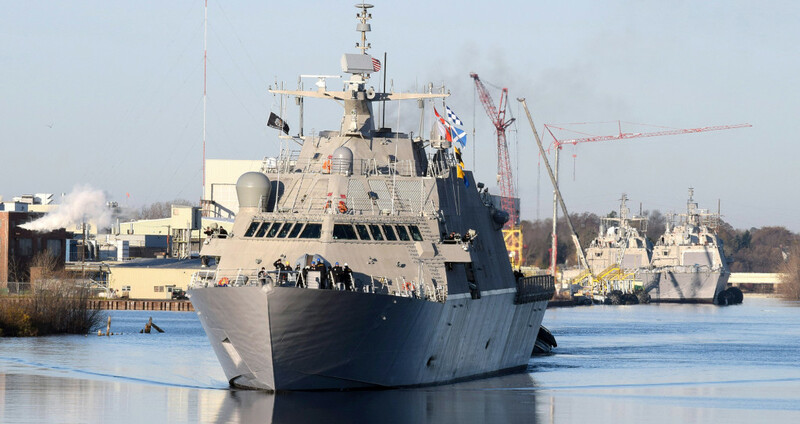 The Lockheed Martin-led industry team is currently in full-rate production of the Freedom-variant of the LCS, and has delivered three ships to the U.S. Navy to date. The future USS Indianapolis is one of seven ships in various stages of construction at Fincantieri Marinette Marine, with three more in long-lead production. «On behalf of Marinette Marine, we are incredibly proud to build these ships for the U.S. Navy», said Jan Allman, MMC president and CEO. «We continue to streamline our processes and leverage the craftsmanship and skills of our employees in producing these high quality vessels for our warfighters». 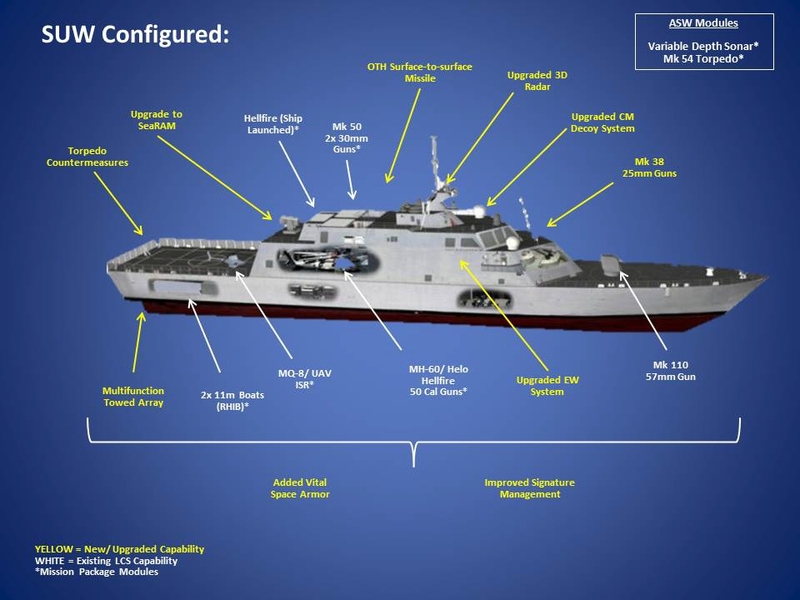 LCS-17 will be the fourth ship to bear the name USS Indianapolis. A previous Indianapolis (CA-35) is best known for its role in World War II, where it operated throughout the Pacific escorting convoys and attacking enemy submarines. Indianapolis’ service ended when it was sunk by a Japanese torpedo on July 30, 1945. Only 317 of the 1,196 sailors serving aboard the ship survived after five days afloat in the Pacific Ocean. Richard Thelen, a USS Indianapolis (CA-35) survivor, attended the keel laying ceremony as a representative of all who sailed on CA-35. 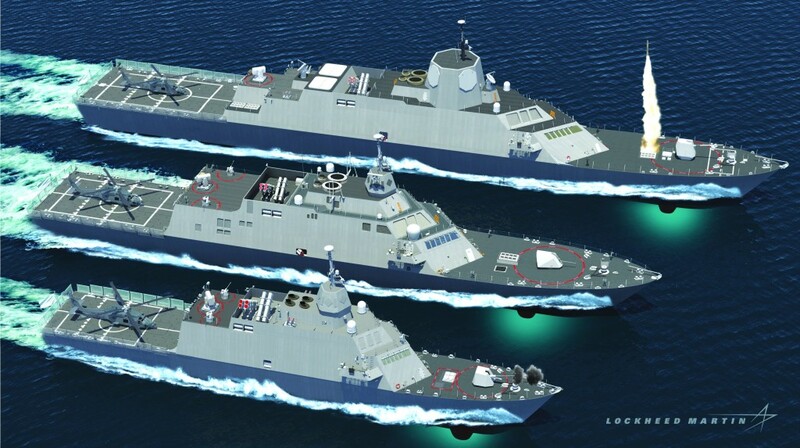 The Lockheed Martin-led LCS team is comprised of shipbuilder Fincantieri Marinette Marine, naval architect Gibbs & Cox, and more than 500 suppliers in 37 states. The Freedom-variant’s steel monohull design is based on a proven, survivable design recognized for its stability and reliability. With 40 percent reconfigurable shipboard space, the hull is ideally suited to accommodate additional lethality and survivability upgrades associated with the Freedom-class Frigate. 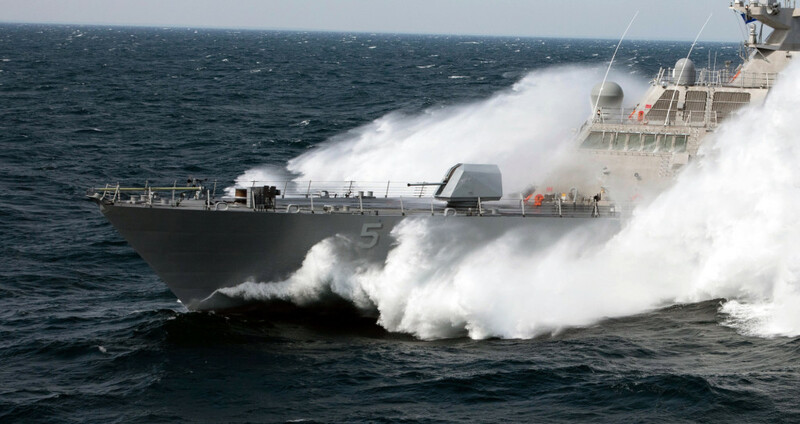 The future USS Milwaukee (LCS-5) successfully concluded its acceptance trial September 18, after completing a series of in-port and underway demonstrations for the U.S. Navy’s Board of Inspection and Survey (INSURV). The acceptance trial is the last significant milestone before delivery of the ship to the U.S. Navy, which is planned for October. During the five-day trial, the Navy conducted comprehensive tests of the installed systems. «What a ride», said LCS program manager Captain Tom Anderson. «The weather on Lake Michigan during the conduct of this trial was not pleasant. Despite the high sea state, Milwaukee crisply executed the schedule of events and received some of the highest demonstration scores to date for the LCS class. Milwaukee lives up to her namesake city in both her tenacity and strength». While underway, the ship performed launch and recovery operations of the 11-meter rigid-hull inflatable boat, a four-hour full power run, surface and air self-defense detect-to-engage exercises, and demonstrated the ship’s maneuverability performing tight turns and full-power quick reversal. Following her commissioning in Milwaukee, Wisconsin, in November, the ship will prepare for full ship shock trials to be held in the Atlantic Ocean in 2016. She will then sail to California to be homeported in San Diego with sister ships USS Freedom (LCS-1), USS Independence (LCS-2), USS Fort Worth (LCS-3) and USS Coronado (LCS-4).